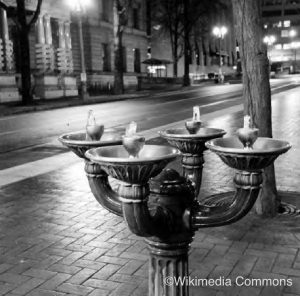 While most purportedly haunted locations in the Portland area are home to a single ghost or type of haunting, the Benson Hotel reportedly houses five spiritual apparitions, each similar in description and related activity. People have reported numerous ghosts in the Benson Hotel, and many guests check in hoping to meet one of them face-to-face. Paranormal experiences have occurred throughout, with ghosts seen wearing anything from formal attire to lumberjack clothing. An employee was setting the tables for a banquet when the ghost of Benson entered the room and then just as quickly exited into the wine storage area, vanishing before her eyes. Shaken, she nervously finished her job as quickly as possible, glancing over her shoulder to make sure she was still alone in the room. Other employees claim to have seen the ghost of Benson in one of the meeting areas, standing quietly and attentively in the back of the room as an important meeting commenced. Is the Ghost of Jimi Hendrix Experience Drummer John Ronald “Mitch” Mitchell Haunting the Benson Hotel? 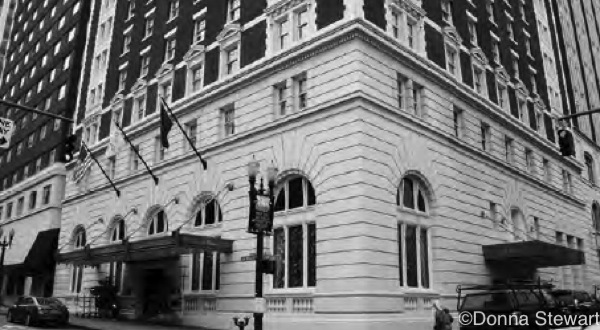 Another popular ghost at the Benson Hotel is that of a young boy, around the age of 3 or 4, who witnesses describe as thin and with short, light brown hair. Some local psychics have said that it is the ghost of Jimi Hendrix Experience drummer John Ronald “Mitch” Mitchell, who died at the Benson Hotel in 2008. Mitchell was a famous child actor in England before embarking on a career in rock and roll, and the psychics believe he remains at the Benson as the child version of himself. While anything may be possible in the afterlife, this does beg the question as to why this young boy has been seen at the hotel for decades whereas Mitchell died in 2008. One guest who was in Portland on business checked into a room on the seventh floor of the Benson Hotel. She was in bed and growing weary of the movie on television, so she turned off the set and checked her cell phone one last time for any messages from her family before turning in. Then, when she rolled over, she came face-to-face with a little boy who stood at the side of her bed. She estimated the child to be about 3 years old, and as a mother with a son the same age, her instinct was to reach out to him. She touched his arm, and for a moment it felt solid and warm. She recalled thinking that the little boy could not possibly be a ghost because he was not cold, and from all that she had seen on television, ghosts were cold. As she thought about this and watched the little boy, he unexpectedly jumped at her face, assuming a scary expression. Startled, but not really frightened, she covered her head for a moment, thinking the boy might be simply playing a game with her. When she peeked out from the covers, the boy was still there. Again she touched him, and again he quickly made a scary face. This time the guest carefully positioned the blanket in front of her face so she would not have to see the boy again and, after a few minutes, assumed he was gone. Then she felt movement on the blankets at the bottom of the bed. Spooked by what she had just experienced, she did not look to see what the movement was. When she checked out of the hotel the next morning, the woman asked the desk clerk if anyone else had ever described anything like she had experienced the night before. 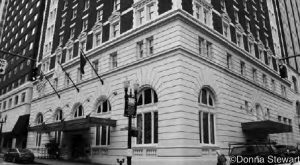 She was not surprised to hear that others had seen the little boy, although the desk clerk told her that most of those sightings had occurred on the 12th floor. Although they have a sense of humor, some of the Benson Hotel ghosts are friendly and helpful. Another guest, one with a disability, was having difficulty getting into bed one night when a porter appeared in front of her and gently assisted her into bed. When she turned to thank him for his kindness, however, he vanished before her eyes. No one has been able to describe well what the porter looks like, perhaps because he helps and vanishes so quickly, but he is known to assist guests in rooms when they need a helping hand. The Lady in White is another helpful ghost. When she is not checking on guests, she wanders the floors and admires the decor. The Lady in Blue is the ghost of a middle-aged woman who has been seen wearing a turquoise dress and bright red rings. She is a different form of apparition than the others, however, and people have reported seeing her only as a reflection in a lobby mirror looking back at them. 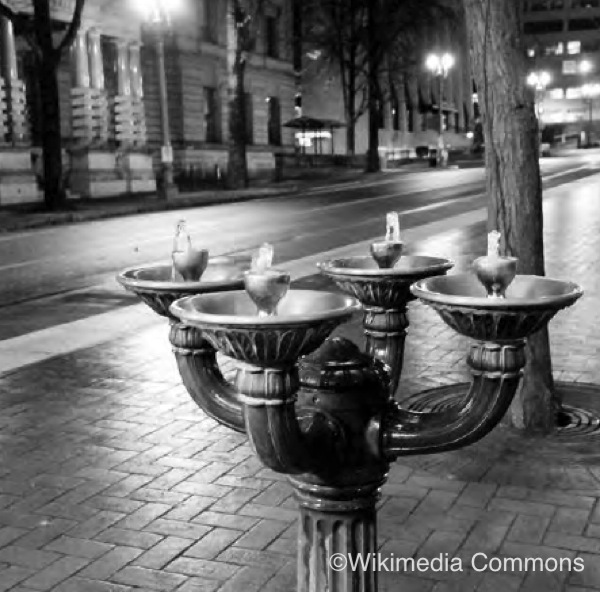 If you are looking for a beautiful and mysterious place to spend a night or two in the Portland area, check into the Benson Hotel, which has everything and more that you would expect from a fine luxury hotel. The rooms are not inexpensive, but they are not grossly overpriced either. Spend some time in the gym, enjoy dinner at the London Grill, and relax in your room with a few friendly ghosts. 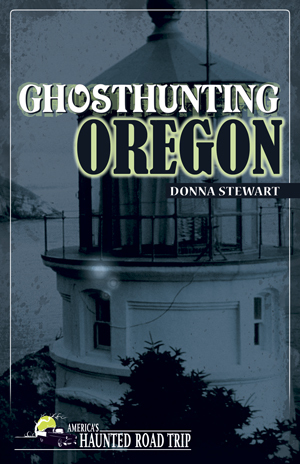 Donna Stewart’s book Ghosthunting Oregon covers more than 30 haunted places throughout the Beaver State, all of them open to the public.